20 kap. 40 kap. 50 kap. 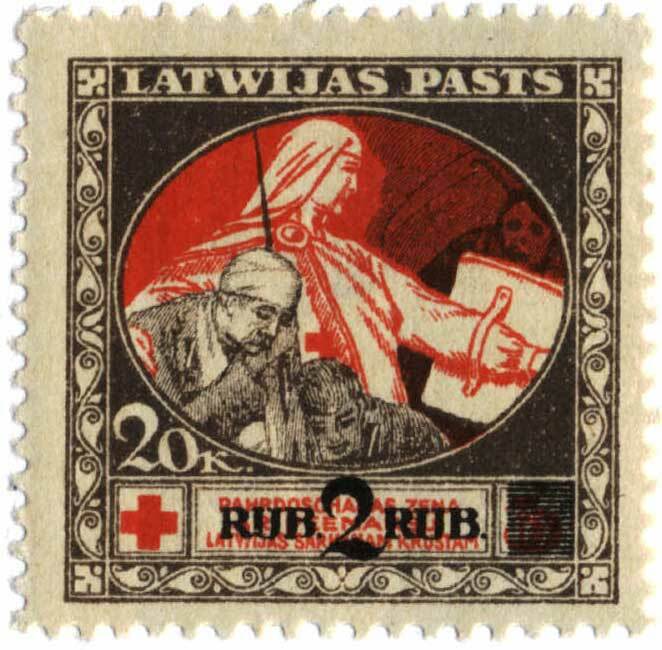 1 r.
2 Rub on 20 kap. 2 Rub on 40 kap. 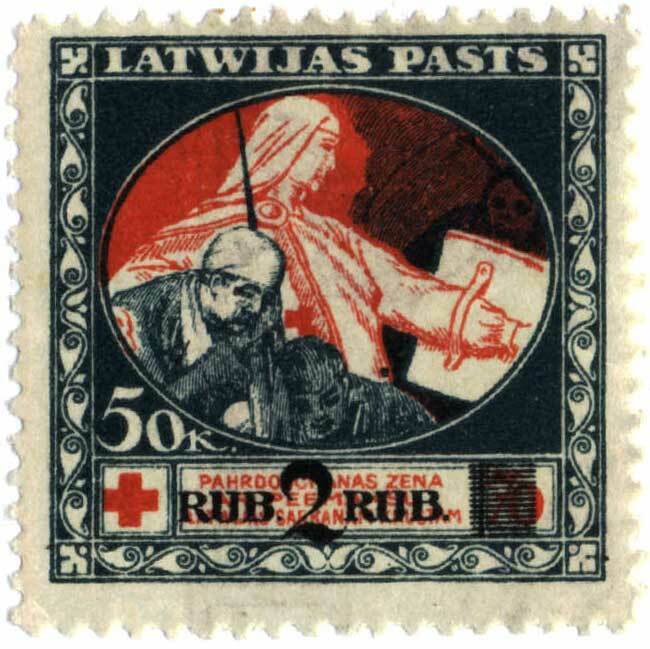 2 Rub on 50 kap. 2 Rub on 1r. 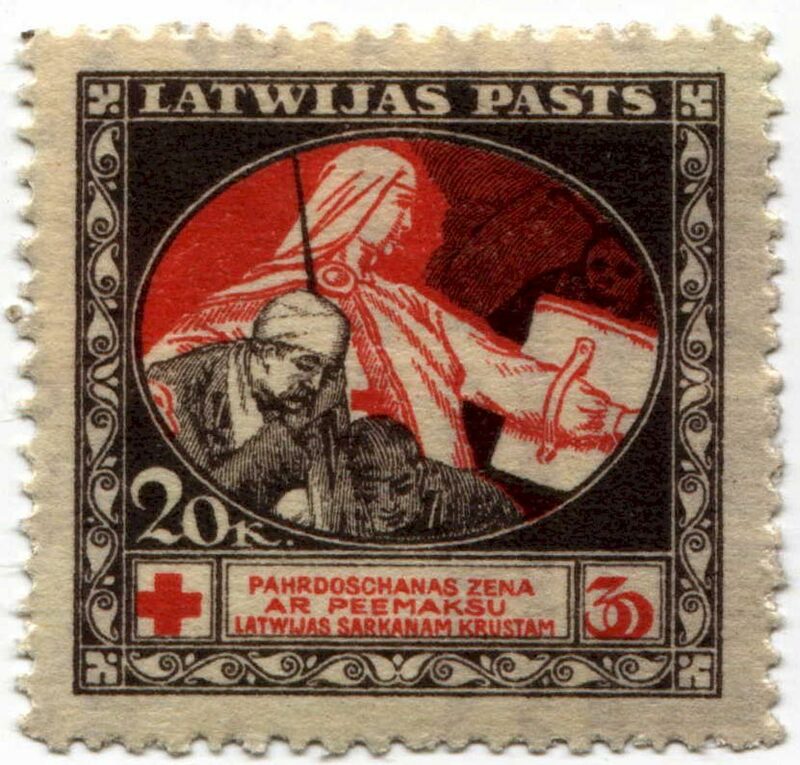 These stamps are typical semi-postal issues and served primarily as receipts for donations to the Latvian Red Cross. 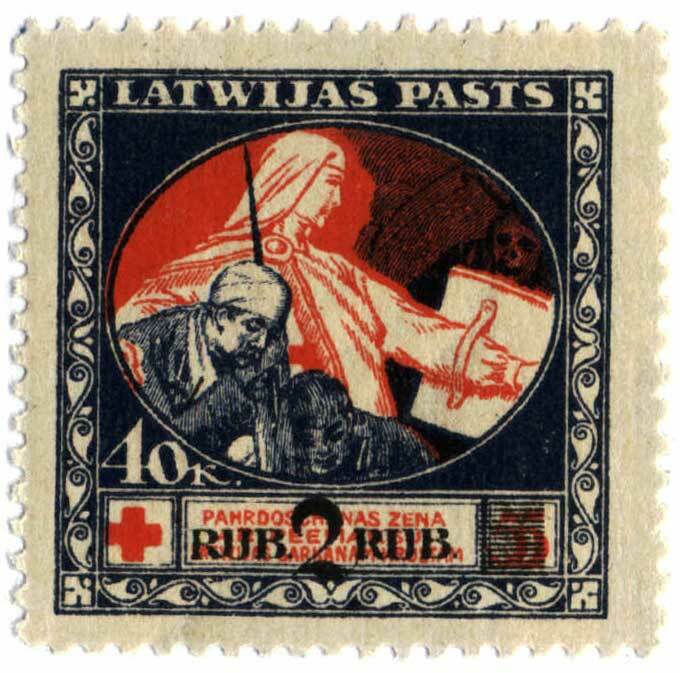 They were sold not only by the post, but also by the Red Cross office, and on issue was even sold only the the Red Cross. 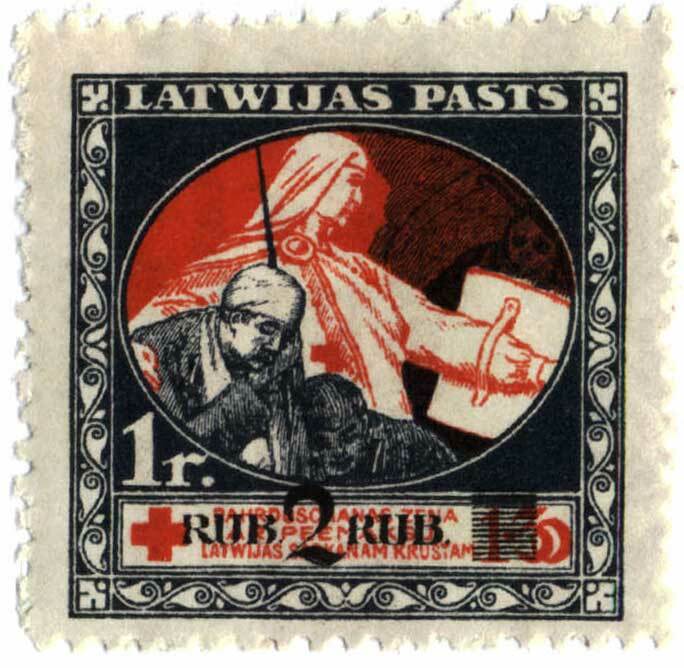 Covers genuinely postaly used are very rare, most cancellations being CTO by sheets.